This is a really pretty repurposed vintage necklace. 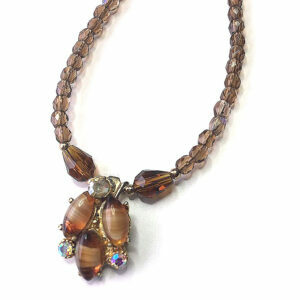 It would be ideal for a vintage wedding but is so versatile it would suit any day of the week! 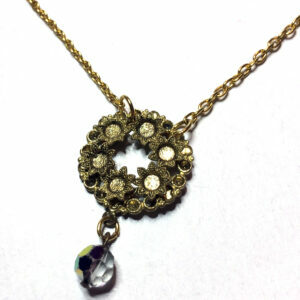 This is a really pretty repurposed vintage necklace. 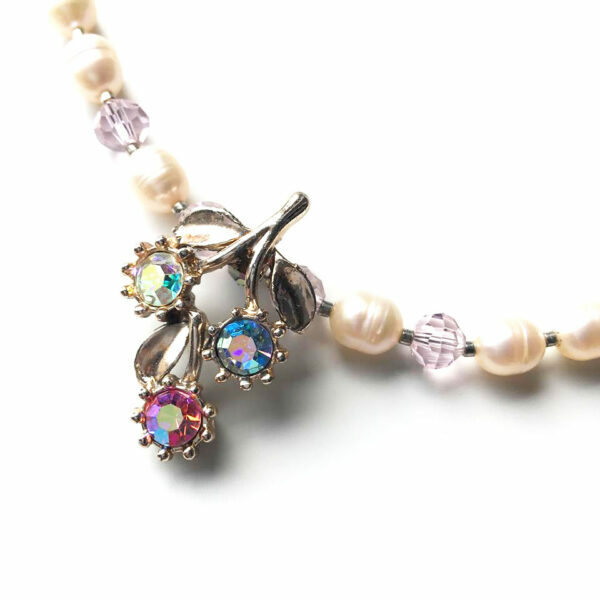 It is a unique necklace that is ideal for a vintage wedding. But because it is so versatile, it would suit any day of the week! 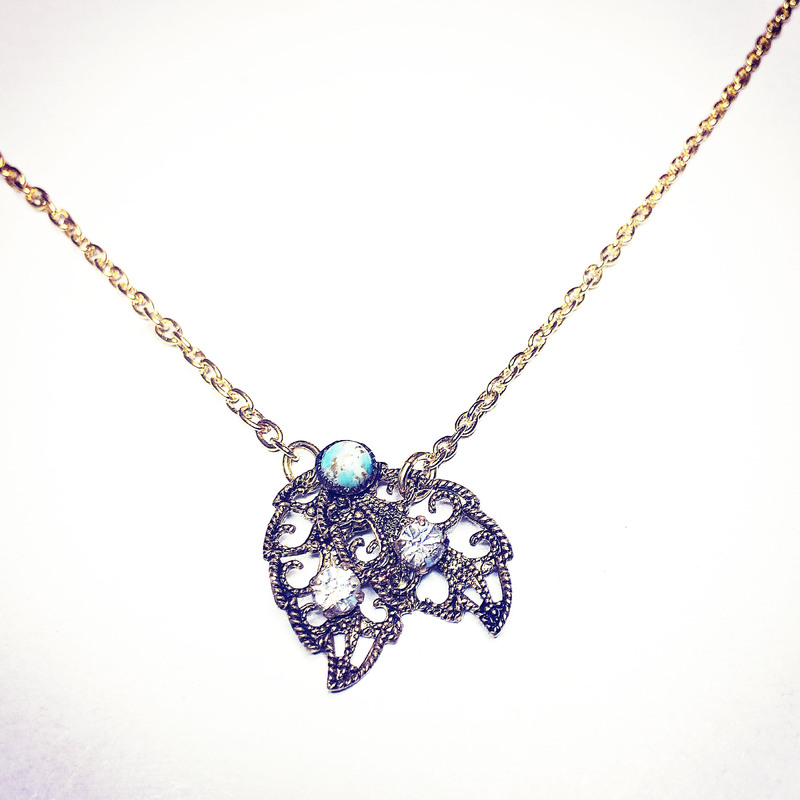 In this design I have placed a small flowering branch pendant in the middle. This is a single repurposed vintage clip earring. 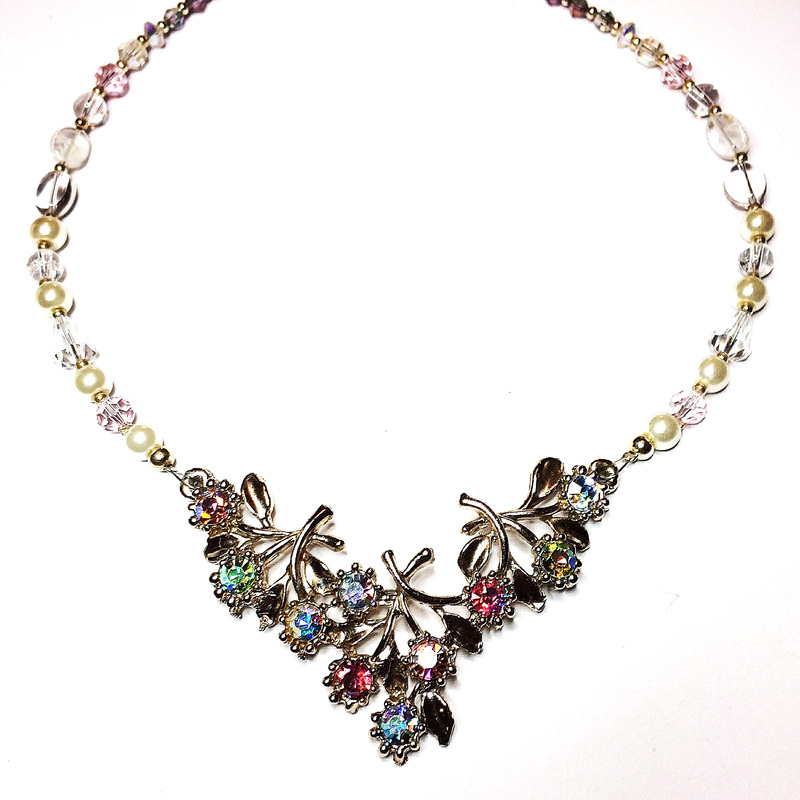 This is set with three blue and pink aurora borealis rhinestones (all original, dating from the mid-20th Century). 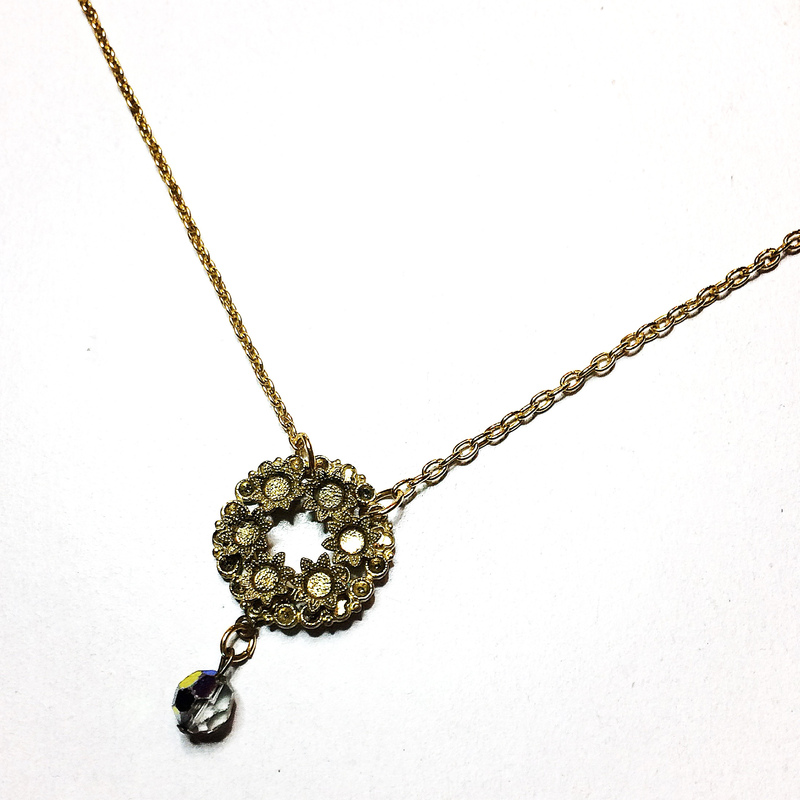 I have hung the pendant on a string of oval fresh water pearls. These are broken up with six pale pink new glass beads. The two ends of the necklace finish with vintage clear glass crystals, I have separated all of the beads with tiny silver tone spacer beads. 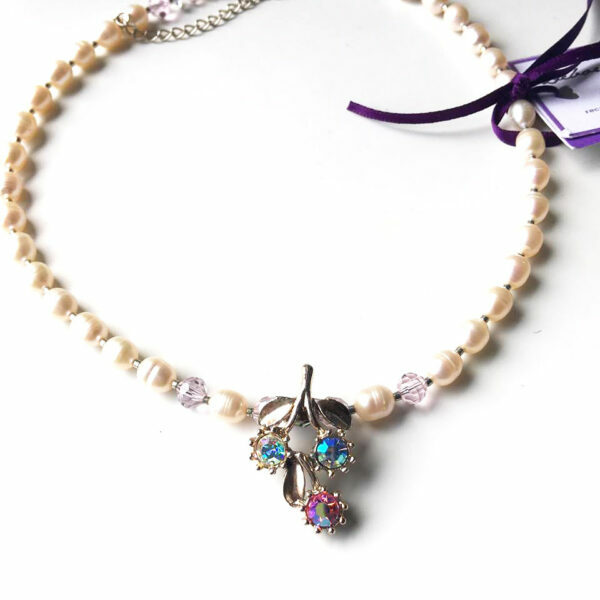 The necklace is fitted with a new silver plated and nickel free lobster clasp. 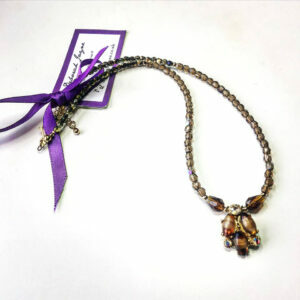 I have also fitted the repurposed vintage necklace with an extension chain so that you can adjust the length to suit your tastes.